National Insurance Underwriters is an affiliate of Nation Safe Drivers, one of the largest suppliers of auto-related supplemental products for insurance agencies, companies and dealerships in the United States. 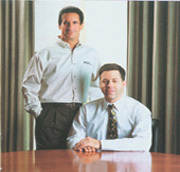 Nation Safe Drivers was founded in 1962. NIU shares many core values and a dedication to excellence with Nation Safe Drivers. We also reside in the NSD building, which provides access to many additional resources, including a Licensing and Compliance Department, Information Technology, and outstanding Marketing resources. National Insurance Underwriters provides Personal Lines and Commercial Lines Insurance products to more than 8,000 independent insurance agencies in 40 states, with written premium in excess of $80 million annually. We are insurance professionals committed to providing independent agents with the market's best products, underwritten by the world's best companies. We utilize the latest technology for quoting rates and completing applications. 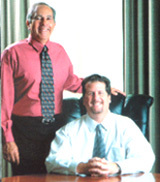 We strive to provide the best service to our agent-partners and their clients. We invite you to become a National Insurance Underwriters partner. "We build relationships one policy at a time".